The elementary program is organized into two, three-year cycles. The first is lower-elementary which includes first through third grade students. Upper-elementary continues with fourth through sixth grade students. 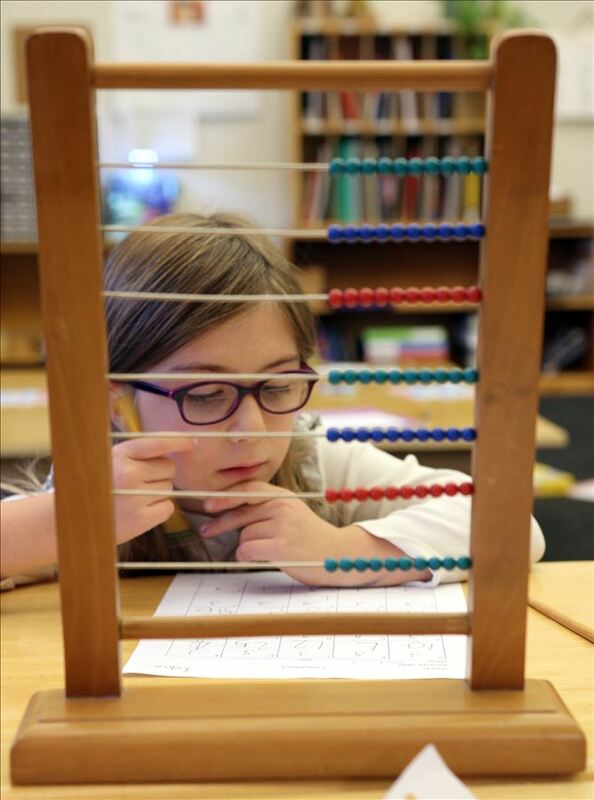 These programs are based upon a rigorous, research-based curriculum that centers on mathematics, social studies, science, English language arts, and personal growth and development. In addition, students have daily and weekly lessons in physical education, visual arts, music, and Spanish. Kitchen classroom and Della Terra (gardening and botany) are also experienced. 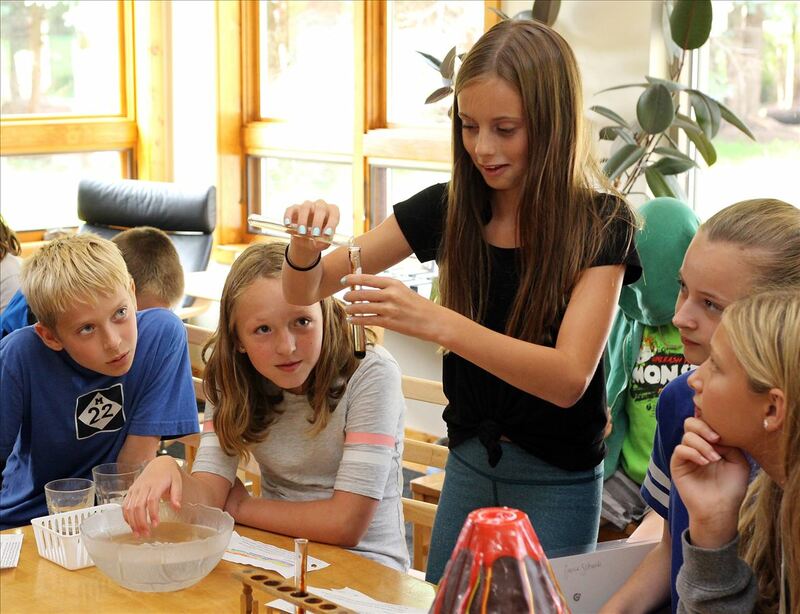 In primary, students are connected to their environment and community through physical, concrete, and tangible activities. Elementary-age students draw on the library of ideas and sensations they experienced in their younger years to explore the universe through the power of imagination. Stories, impressionistic charts, and evocative materials give a sense of the size and age of the observable universe, the steady progression of life on Earth, the variety of terrain and climates on our planet, and the saga of human evolution, invention, and civilization. Classroom guides tell stories (“great lessons”) that lay out a general organization for knowledge, then invites the children to investigate details and relate them back to the whole. In this integrated approach to learning, children are able to acquire vast amounts of knowledge and expertise. Through study of a wide variety of topics such as ancient civilizations, algebra, human anatomy and physiology, cultural studies, the mechanics of language, and everything in between, students are engaged in learning piqued by their strong desire to understand. The elementary classroom offers more learning opportunities than any standard. And since the classroom encourages exploration by individuals and small groups who then report back to the whole community, the children create a rich culture of discovery that constantly exposes them to a wide variety of information. Elementary-age children typically develop a strong interest in ethics and justice. The same impulse that led the primary-age child to insist, “Help me to do it by myself,” for physical tasks—putting on a coat, or carrying a chair, or opening a door—now moves into the moral realm. Elementary students want to independently investigate issues of fairness, rules of behavior, and roles in a group. Their questions move from the primary (“What is that?”) to the elementary (“Why is that?”). Cause and effect, connections and consequences, are of great interest. Classroom materials direct these intellectual and social explorers to the interrelated roles in any society or ecosystem: the give and take that allows for a balance between plants and animals, predator and prey, or farmers and merchants. 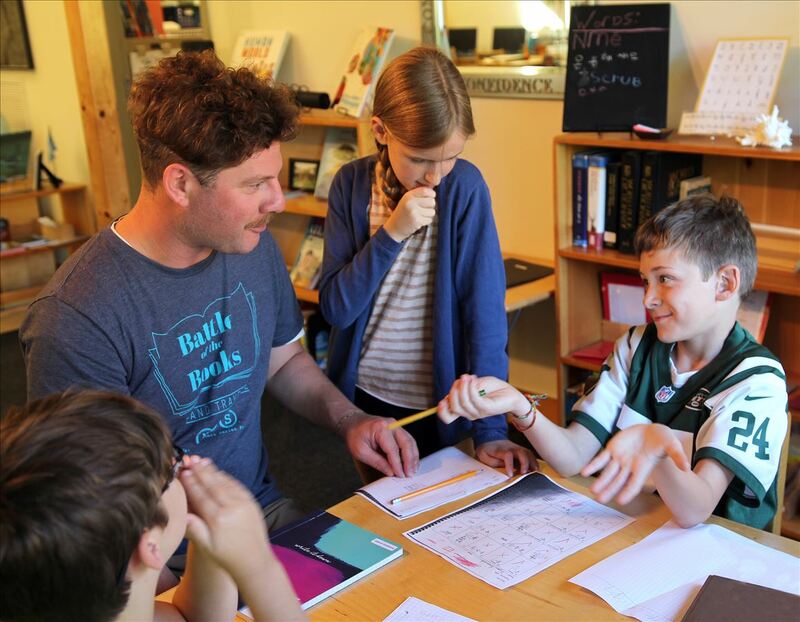 Elementary students meet regularly as a group in order to discuss classroom ethics, solve problems collectively and present research to one another. When the whole community comes together, they are able to negotiate solutions to situations that arise in an environment where each individual’s feelings and perspectives are respected. With the classroom guide acting as a facilitator, students create a smoothly functioning classroom community, while developing genuine skills of negotiation, diplomacy and compromise through authentic discussions about real situations; skills that stay with them as they grow and mature into adolescents and beyond.